At this time of year, frost and ice are everywhere. Ice makes walkways and roads treacherous, and frost makes us have to leave the house 10 minutes earlier so we'll have time to scrape it off the windshield. 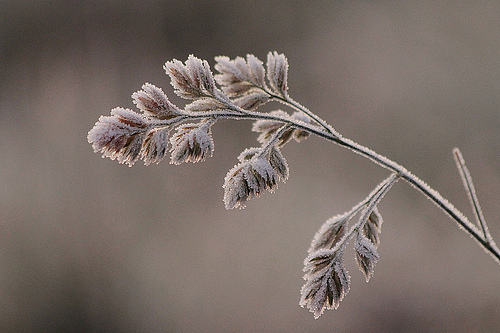 Yes, it can be an annoyance, but don't let those inconveniences blind you to the beauty of frost and ice, and their deeply photogenic qualities.